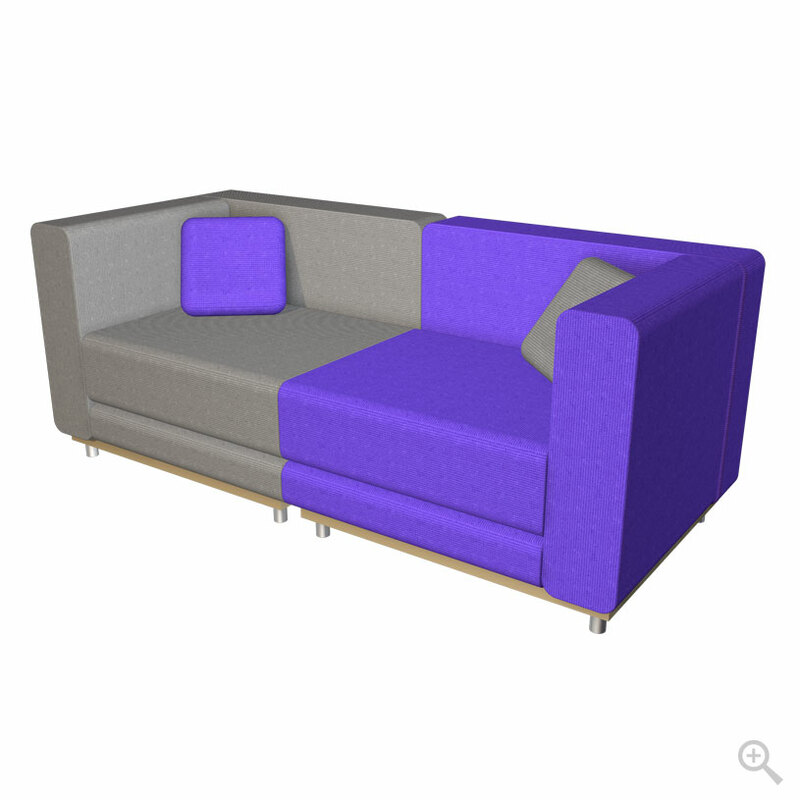 L.Cubed is a two-seat sofa. 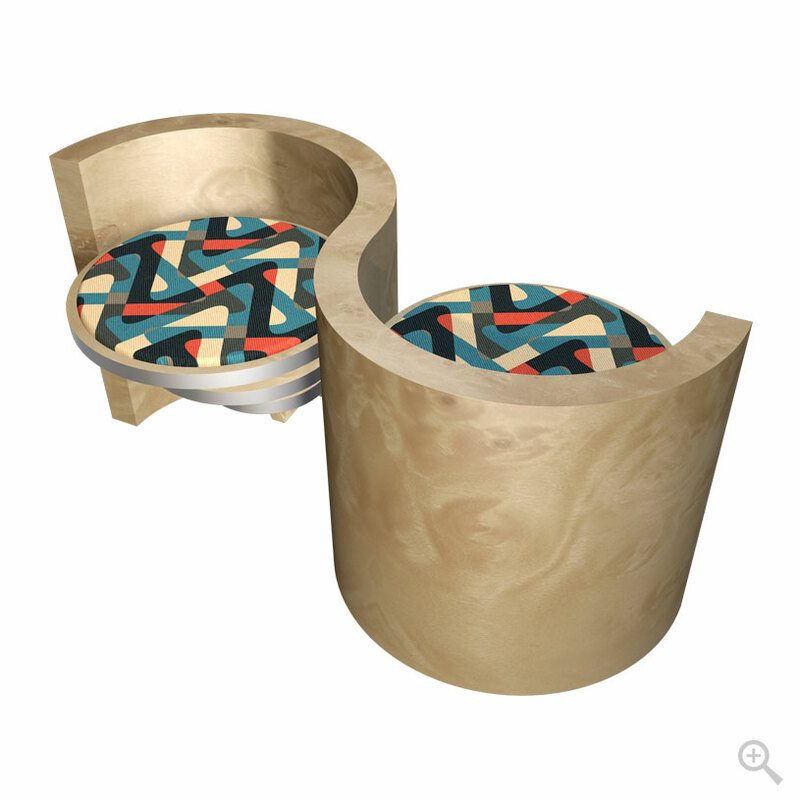 This design is perfect for waiting areas or large rooms in residential spaces. 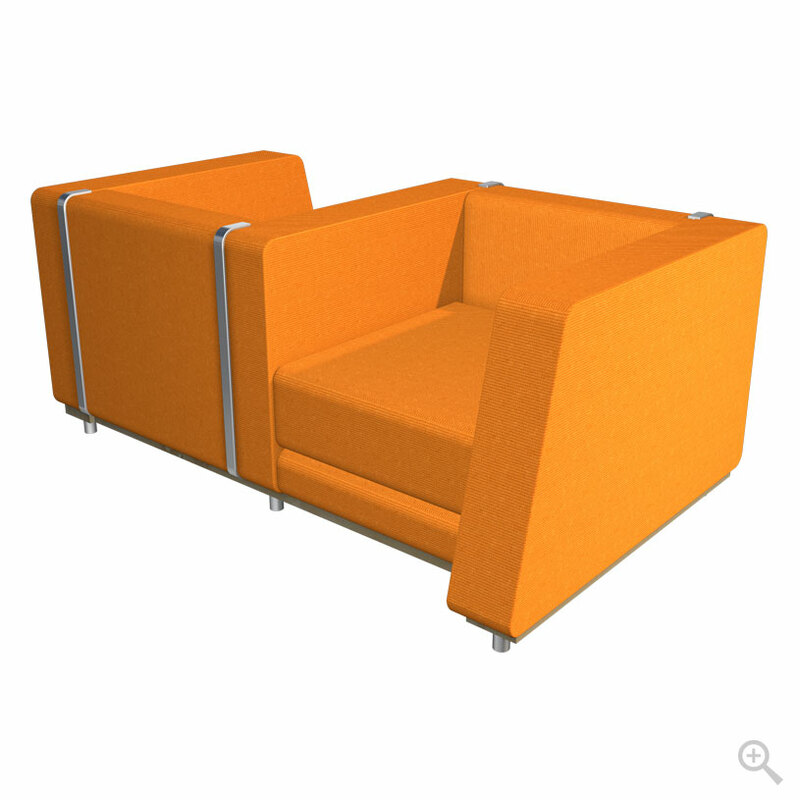 It features orange upholstery with brushed aluminum trim. 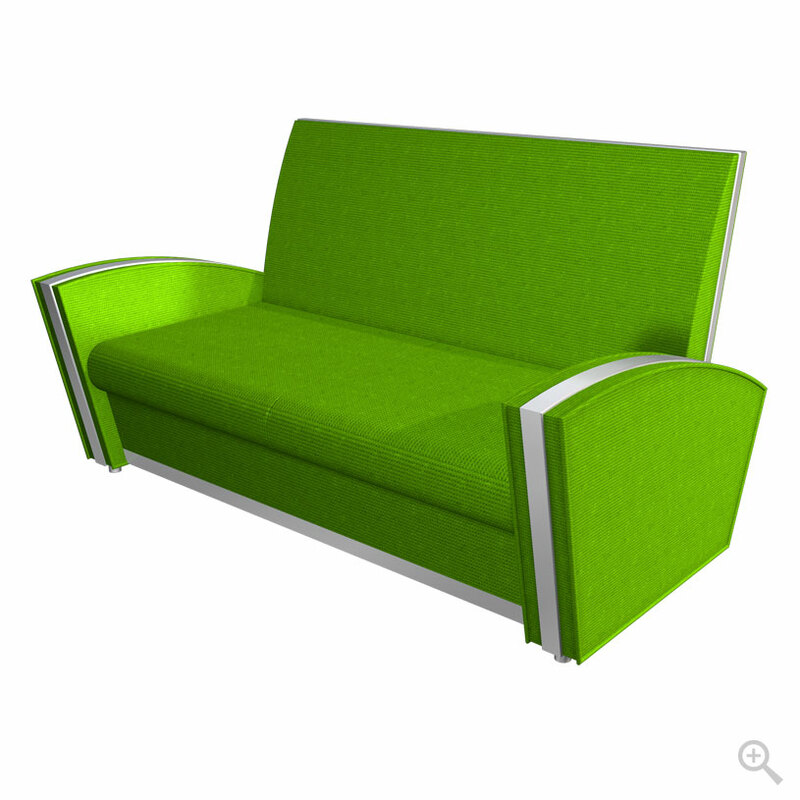 Available in different colors and materials.